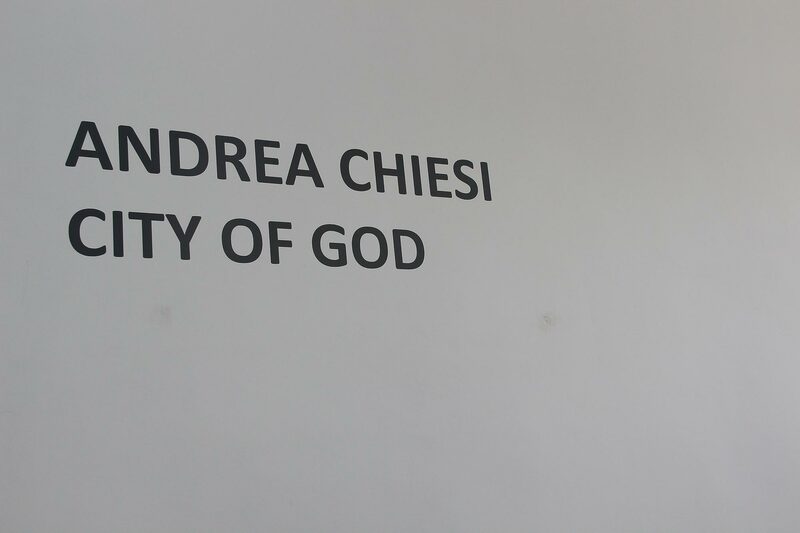 Being 3 Gallery is very pleased to present Italian artist Andrea Chiesi’s solo exhibition "City Of God" on September 19th, 2015 and this is Andrea Chiesi’s first solo exhibition in China. Born in Modena on the 6th November 1966, Andrea Chiesi was self-taught and trained in the counter-culture of early 80’s punk and independent music. He began drawing for independent fanzines and making exhibition in social centres. The works from this period were created using black and violet inks on paper. The characters, figures and spaces represented were connected to the particular culture environment he used to attend. Later he has started a research about contemporary landscapes, time and memory using a strict and careful oil painting that sometimes enhances industrial subjects or urban spaces, but others creates strong black and white contracts thanks to a fast transition from darkness to a half –light situation. The use of ink in drawings and the oil painting technique are carried on simultaneously and it helps to pay attention to the differences between the two worlds: a shifting and fluent universe the first, a metaphysical and timeless on the latter. The exhibition presents a constantly constructing and changing urban landscape by humans. There are numerous steel structures: factories, industrial areas, ports, railway stations, parking lots, construction sites, Ferris wheel and suburb … For humans, the aim of building these constructions was to make their lives more comfortable and convenient, but on contrary, it has created a cold and grim city. Urban space expansion encroached people’s mind and the industrialized bustling crowds squeezed their existence. The magnificent contemporary urban landscape reduced to a city attended. For Andrea Chiesi, the transformation of a contemporary landscape reflects human existence and historical memory by the social impacts: labor, strikes, heavy industry, environmental destruction, dirty, seizure, abandoned places, and so on, simultaneously pointing to the future direction. Meanwhile, Andre Chiesi has also constructed a new space, a contemporary landscape of "paradise." By deducting the real structures, or on the contrary, by increasing the line, changing the perspectives in which the degree of vertical space has been pushed to an endless threshold, a structure that is entangled but disciplined. It is a structure exists between the east "Zen" and the West "pure obsession" , a spiritual world belongs to him and people who understand him. The exhibition will continue until October 19th.